Boasting a fleet of more than 40 aircraft, Scoot has various seating plans to suit your needs. Whether you’re after extra legroom, more storage space, or simply want to get some sleep in the ScootinSilence cabin, Scoot’s got you covered. The Scoot family is always eager to welcome you on board. Their friendly crew, both in the air and on the ground, are committed to honouring the airline’s values and ensuring the comfort of their passengers. Extra comfort doesn’t come with a bigger price tag. Scoot strives to keep their airfares affordable across all routes, making flying more accessible to more people. Scoot offers more than just the basics, while you only pay for the extras that you need. Scoot, officially Scoot Tigerair, launched its first flight in 2012. This Singaporean low-cost carrier operates medium and long-haul routes across all major continents. 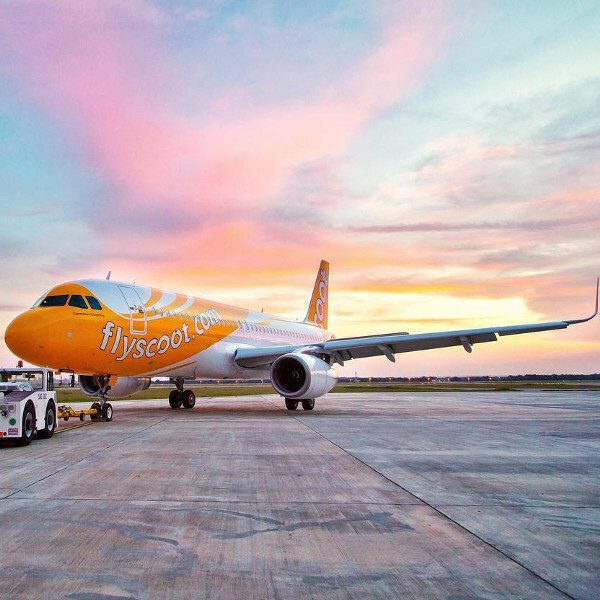 After Tigerair merged with Scoot in 2017, the ‘Scoot’ brand was retained, and a few more aircraft added to its expanding fleet. The airline is geared to a younger generation of travellers looking for a value-for-money experience. Their quirky branding and welcoming crew provide a refreshing experience on board a Scoot flight. Scoot really has thought of everything when it comes to their customers. 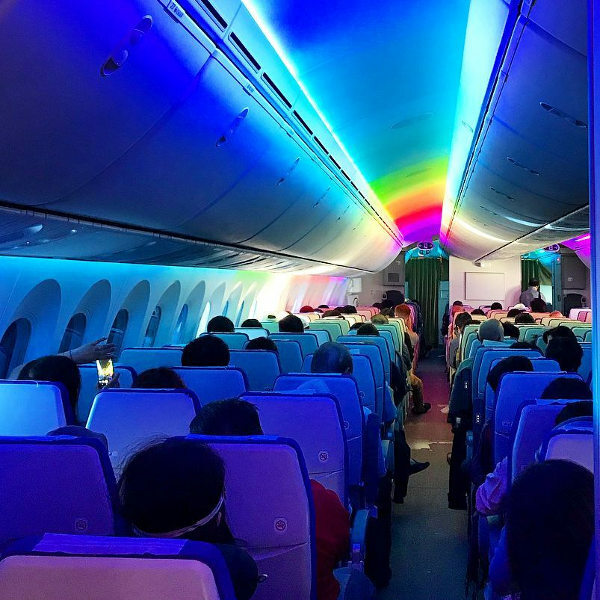 From wide-body aircraft and spacious seating to quieter engines, inflight Wi-Fi and mood lighting, you can expect a very comfortable flight. Book Scoot flights to Athens, Berlin, Kuala Lumpur and other exciting places! Scoot allows its passengers a generous baggage allowance of 30kg for ScootBiz, and 20kg for FlyBag/ FlyBagEat. If you would like to purchase additional luggage, you are allowed up to 40kg, regardless of your fare bundle. Each bag may not weigh more than 32kg. Avoid exorbitant airport fees and pre-purchase your extra luggage online. Economy passengers are entitled to 2 pieces of luggage not weighing more than a combined weight of 10kg. Business travellers are allowed 2 pieces weighing a combined weight of 15kg. Total dimensions may not exceed 115cm. If you require extra hand luggage, you can pre-purchase an additional 7kg. Check-in counters open 3 hours before departure and close 60 minutes before departure. The check-in counters at Singapore Changi Airport can be found at Terminal 2. You can check in before your flight from 72 hours to 1 hour before flight departure. This service is only available for direct flights departing from Singapore. Visit the website portal to check in to your flight. All flights departing from Singapore (except to Jeddah) are eligible for the kiosk check-in service at the airport. This is available from 18 hours to 70 minutes before flight departure. Economy Class just got more exciting with Scoot! With spacious seating, free luggage and hot meals on board, you are guaranteed a flight with a difference. ScootBiz passengers can enjoy perks like priority boarding, welcome drinks, power stations, free ScooTV and a hearty selection of meals on board. There are three Economy bundles for you to choose from: Fly, FlyBag and FlyBagEat. Seating ranges from standard seats to super seats (with adjustable headrests), stretch seats (50% more legroom) and ScootinSilence quiet zone reserved for passengers above 12 years old. Passengers flying on their 787 Boeing Dreamliners can stay connected 35,000 feet in the air with Scoot’s fixed data plan. Payment can be made with major credit cards and Paypal. Stay entertained with ScooTV, giving you access to over 100 movies and TV shows, for a standard price of USD11. Scoot has a wide route network, flying to over 65 destinations around the world. It currently operates flights to America, Africa, the Middle East, the Far East and Europe. 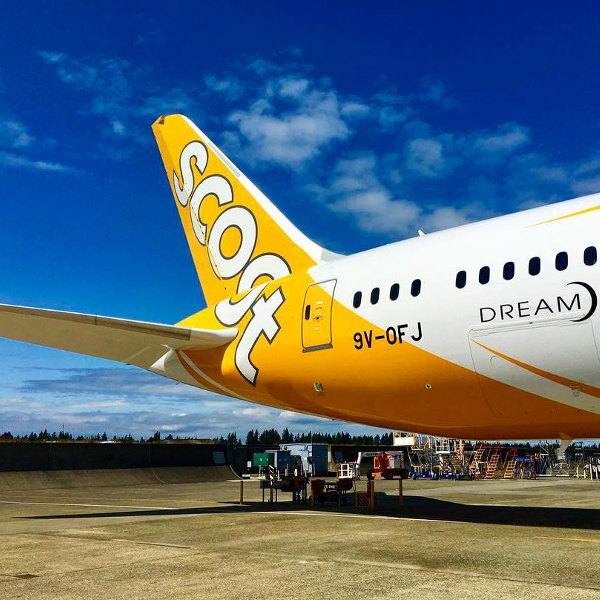 With its codeshare alliances with other airlines, Scoot has managed to expand its routes further into Australia, the Philippines, Japan and Thailand.